Can I tell you how much I love Valentine’s Day? I totally do, it’s true. We make it a family affair at our house, and I just love doing fun things for my kids and husband to celebrate. We do a super fun and easy Valentine Countdown every year, and one of the things on our list is to play Valentine Bingo! I created a fun new Bingo printable for this year, and I love it…I think my kids will too! Bingo is fun at home–we love playing it for Family Night too! It’s also perfect for any Valentine party. 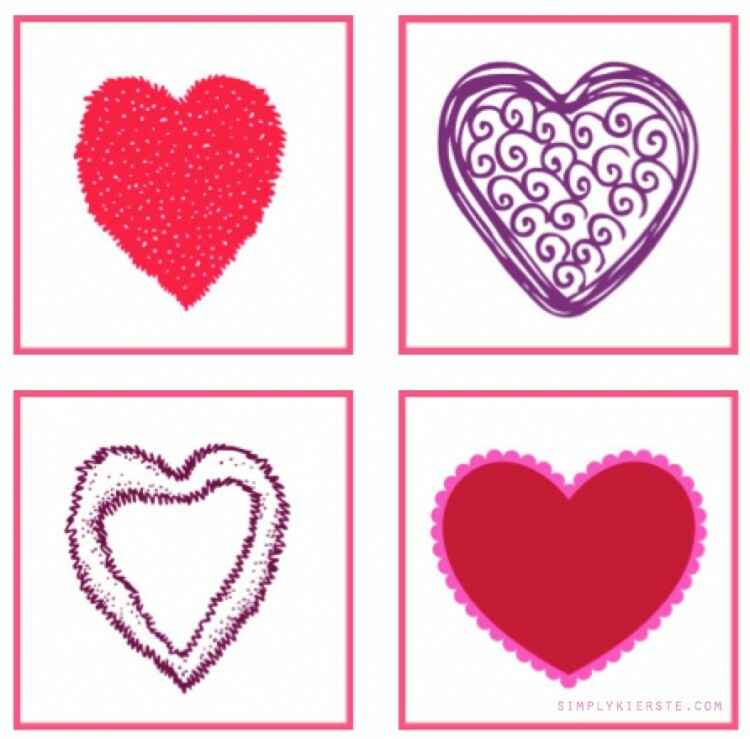 If you’re looking for a a great Valentine game for a class party, this works for preschool on up through upper elementary grades. Everyone loves Bingo! We always use small Valentine candy for the markers (isn’t that why kids love it?? :), but you could use marshmallows, or Craisins too. 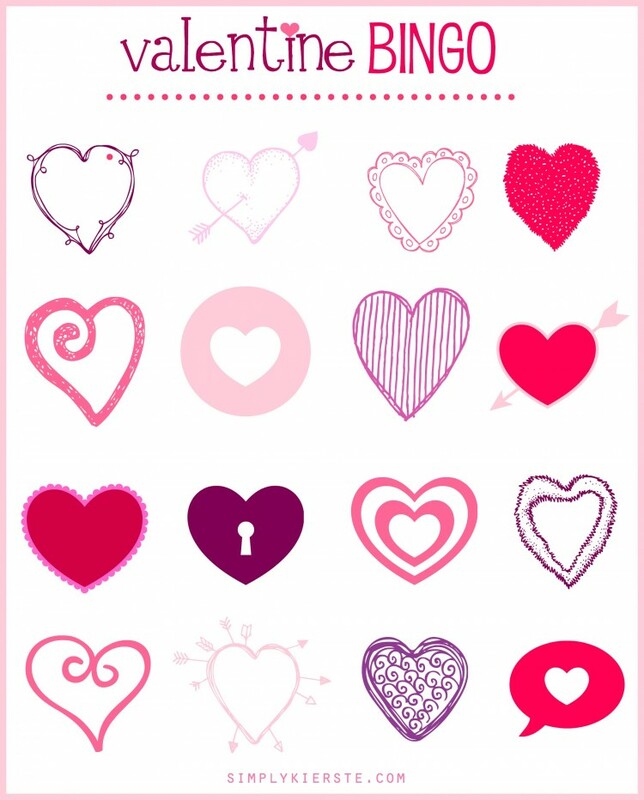 This set includes 6 different Bingo cards, plus the individual hearts. Cut out the individual hearts and use them to hold up so kids will know which heart to cover with their candy.